There are all kinds of ways for a family to divide up chores. We've tried many approaches, and one that works well for us is to assign the kids chores based on a morning and evening chore schedule. Besides keeping the house in order, our goal is to help our kids learn to work. We don't always use a printed chore schedule, but when we do, it's much easier to keep track of who has been assigned to what. 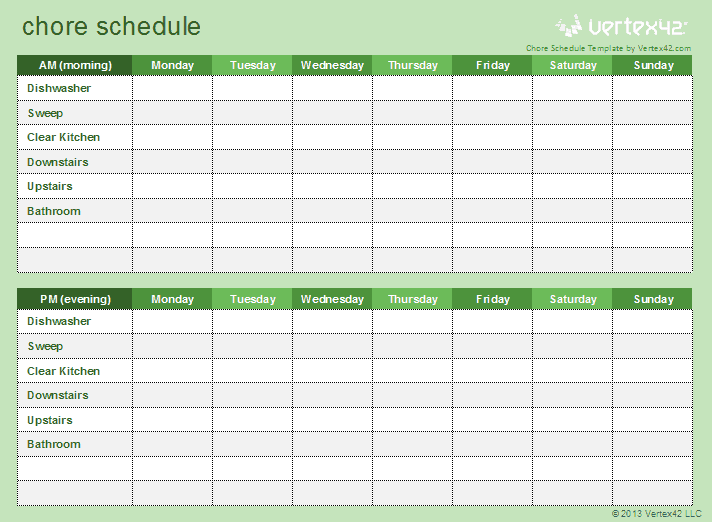 The kids chore schedule helps children and parents to know who is assigned to which chores each day of the week. The schedule includes two separate lists of chores so that you can list morning and evening chores. First, customize the list of chores based on how you typically divide things up in your house. 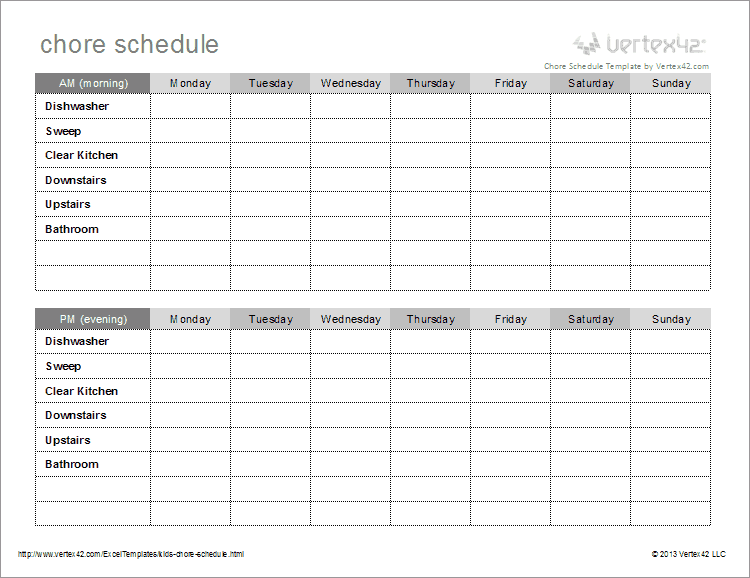 Then, you can print out a blank chore schedule and fill in the kids' names. The spreadsheet contains both the theme-enabled colorful version shown in the image above, as well as a more ink-friendly version (see the second screenshot), on separate worksheet tabs. Note: This chore schedule template could also be used as a reward chart, but that isn't how we use it. In our opinion, it's important for kids to learn that some work is done out of duty or service to the family.